You know you should do it, but are you doing it right? Why is it important to proofread your resume before sending it? 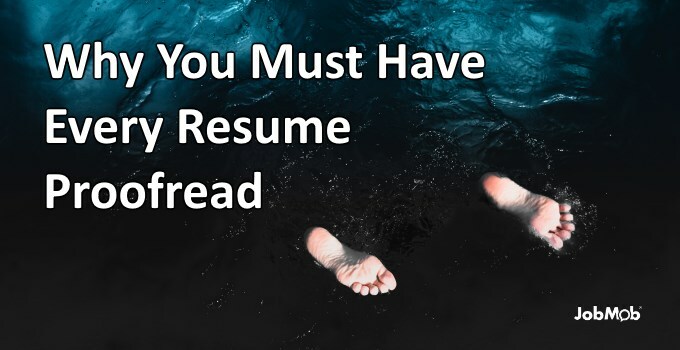 You already know that recruiters won't be impressed by resume mistakes (no matter how funny they are). With that in mind, most job seekers will do some sort of resume proofreading. After all, Microsoft Word and Google Docs have spellcheck enabled by default. The least you can do is weed out all those green and red squiggly underlines before sending your resume in, right? How many people proofread your resume? And in 2014, Reed.co.uk surveyed another 300 recruiters about candidate application turn-offs. They don't all do it, but it drives me nuts to know that there are recruiters discarding resumes of phenomenal candidates simply because of one misplaced letter. It is sometimes justified, though. Responsibilities – Assassinating teenage children in subjects that they may have difficulty in. she wouldn't be wondering why she is having so much trouble landing a job. I was looking for public relations jobs a few years ago, and submitting my resume like crazy to jobs I was well qualified for and sometimes over-qualified for, but was receiving no interest or calls back. This went on for months before I took my resume to a resume professional and she saw that it read ‘expert in pubic relations' instead of ‘expert in public relations' in my mission statement! I could not have been more horrified! Since pubic is a word, my computer spellcheck had overlooked it and I did too somehow. Now, years later, happily employed, I can laugh it off. The job offers came pretty quickly after I fixed the error. I once reviewed a resume that said PUBIC relations specialist in lieu of PUBLIC relations specialist. If this candidate truly specialized in pubic relations, perhaps he should’ve considered a different career path. When I was leading HR for a financial services company, I received a resume for a tech support position in our NYC office. It was a mess: the formatting was inconsistent, it was riddled with spelling and grammar mistakes, and the candidate's phone number was actually a fax number. If you're wondering why I didn't just hit the delete key, well – the resume belonged to our CEO's younger brother. Ouch. We had an applicant whose skills apparently included Writing, Editing and Prooooooofreading. She actually noticed it as we were going through her resume, turned bright red, and then had the grace to start laughing. According to her, her cat had jumped onto her keyboard just as she was making some last minute adjustments before hitting ‘print' and running out to the interview. If we'd needed someone with her particular skillset we'd have hired her instantly. Gotta have a sense of humor in our biz! Many years ago, I was working for a Los Angeles-based book publisher. Resumes came in regularly from people who were looking to get into the publishing industry. The most memorable of these was from an individual who wanted to “apply for a job as a profreader.” He didn’t get the job, but we sure got a good laugh! At the Art Institute of Seattle, I met with career advisers who asked me to review certain student resumes. One was beautifully designed but had no address, no phone number, no e-mail address—only name and vita! Even to someone with years of experience untangling military jargon, this is very difficult to understand. To a someone without military experience, it is nearly indecipherable. Our career coach was able to help rework this resume to use more widely understood terms and the job seeker ended up landing a job in a corporate human resources role. Do you proofread every single resume you send? Tell us in the comments. What is the need for proofreading your resume/CV/job application? Subscribe to JobMob via email and follow me on Twitter for more stories to help you job search better.